Not Your Plain Ol’ Cotton Dish/Wash cloths! Notice I said “Projects” not “project” because one will simply not do! I like to think I’m a pretty focused individual but when it comes to my yarn projects, I need to have a variety of things on the go. Often, I find myself bouncing back and forth between two or three of them in an evening. We got back late last night from a weekend away visiting family. Three days isn’t all that long, so I tried to pack light. Amanda-lite, which is very different than all other people’s version of “lite”. Just ask B. He’ll tell you. So, I pack a couple of ongoing projects: a Stephen West shawl that has been in progress for quite some time, a version of Hélène Magnusson’s Spring Shawl that continues to be in progress (even though it came all the way with me to Iceland where I learned much about knitting it, and yet didn’t get much actual knitting done on it! ), and a couple of balls of cotton yarn. The cotton yarn was for dish/wash cloths. 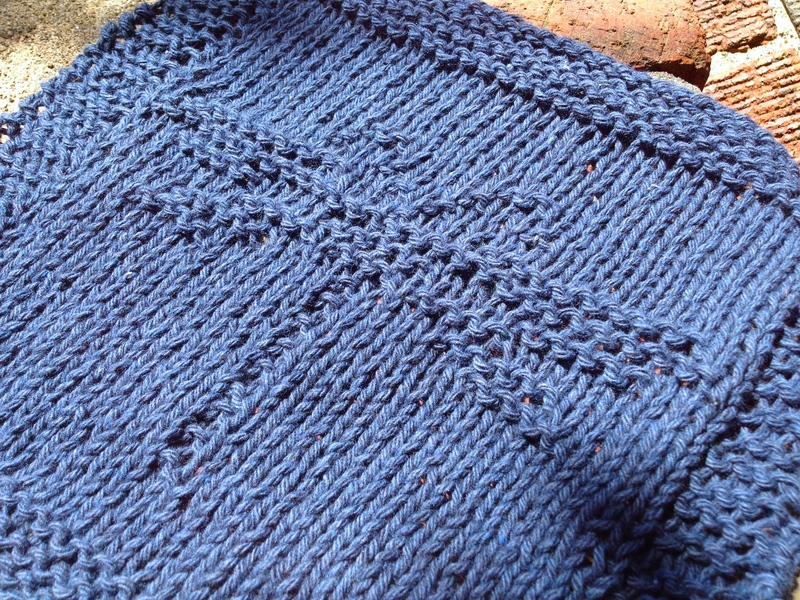 Simple, square-shaped, purl/knit, mindless knitting. Sometimes, that’s what you need. 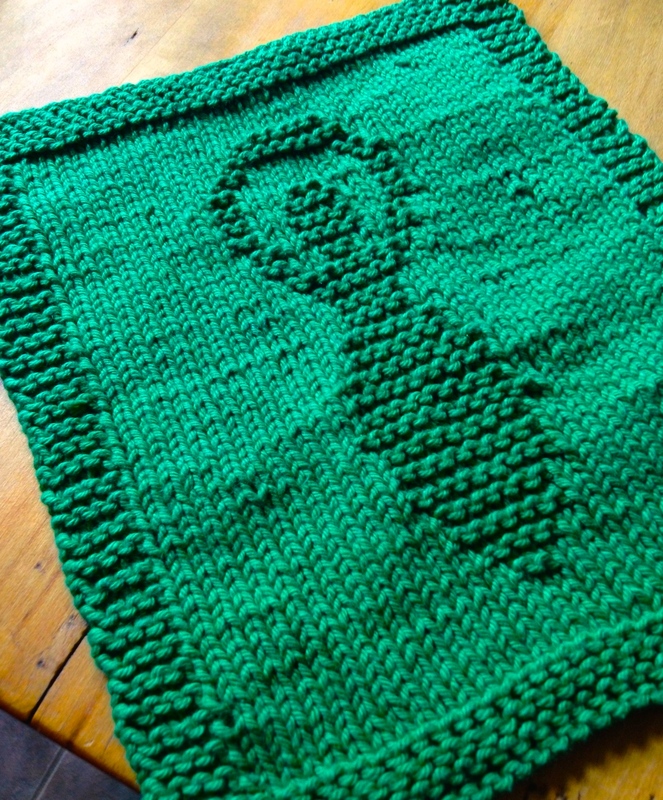 Sometimes, you have to put down the complicated “**knit 381, wrap twice, knit 63, K2TOG, YO, YO, SSK, purl 145, do a little dance, don’t pull all your hair out, repeat**” fibre project and pick up the “knit across, turn, purl, turn, sigh with relief” project. So I brought a couple balls of cotton and made two cloths. The first was from a simple online pattern. As I approached my second one, I decided that I wanted to create a Goddess pattern. I googled images of Goddesses and found a couple that I thought would work. Then, I had to spend some time on Photoshop to create a chart. BUT…it turned out awesome in the end! She’s a little taller than I had planned so the cloth is a bit more rectangular but still lovely and useful! I have had a few people ask about the Goddess pattern. I have a really rough paper chart with scribbles and erase marks on hand. I just need to find some time to sit down and create a proper chart on my computer. Previous postFastest Skull Shawl on Record! Next postFibrearts: What can you make in 5 hrs?